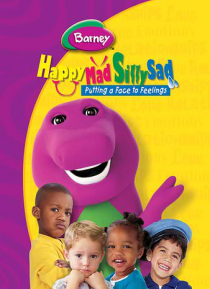 Love makes Barney's world go 'round, and the huggable dinosaur encourages his friends to express and understand their emotions in healthy ways. From creating masks to decorating a "Friends & Family Tree" with hearts, Barney uses fun songs and games to help his friends get in touch with their feelings. And he reminds them that manners, sharing and taking turns are great ways to show you care about … others. It's always a happy day of fun and learning when you spend it with Barney and his friends.